Want to Know More About Improving Your Home Insulation? According to the Harvard University School of Public Health, 46 million homes in the US lack energy efficiency due to poor insulation. In the Lake Oswego area, any home over 10 years old is almost certainly under insulated, with most homes having no insulation in the crawlspace or basement. 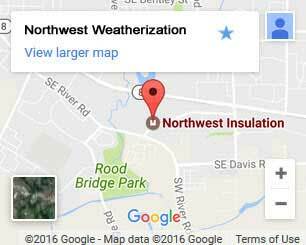 Northwest Weatherization understands the nuances of weatherization in our climate zone and specializes in energy efficiency techniques. R-Value is the measurement used to determine building insulation’s ability to resist heat penetration. Current minimum building standards in Oregon require new home ceiling insulation to meet an R-38 value. Walls, floors, and windows must all meet their respective R-values as well. Retrofitting recommendations for wood-framed homes vary depending on climate zones. The US Department of Energy, however, recommends a minimum of an R-49 to ensure optimal energy efficiency in our area. Local Insulation Contractors Who Have the Answers You’re Looking For. Maybe you already know that your home is under-insulated but need help deciding which type of insulation is best. Our insulation installers can help you remove old insulation if necessary, as well as discuss how our products can suit your needs. For example, we use high-quality blow in loose-fill fiberglass insulation for most of our attic work. 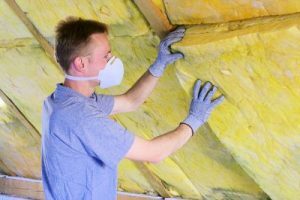 If you’re worried about the cost of insulating your attic, this method guarantees up-front savings as well as cost efficiency down the road in terms of energy bills. We realize that all attics are different and that some should instead be insulated with batts – sheets of cotton, wool, or synthetic fiber. Other attics require polyiso foam board (like RMAX ridged foam) and still others require a dense pack product like JM Spider or Knauf Jet Stream. 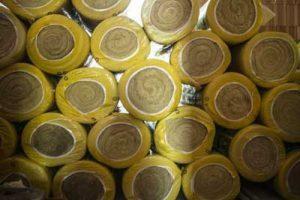 Characteristics to look for in high-quality insulation materials. When choosing insulation materials, ask about options that are non-corrosive. This means that the material does not promote corrosion of pipes, wiring or metal studs. It’s important to also consider, say, floor insulation that is free of formaldehyde and will not send harmful gases through the floor. Have you thought about whether your choice insulation provides sound dampening? Insulation that minimizes sound traveling through walls and floor/ceiling assemblies is an added benefit to any new insulation job. Is the material durable enough to resist rot, mildew and undue deterioration? Furthermore, is it resilient? Fiberglass, for example, will not come apart during application. It naturally resists settling, breakdown and sagging when agitated. Floor insulation – Proper insulation and sealing of your floors can prevent cold air from seeping in. We seal sub-floors using vapor barriers and insulation. Is your basement used as a living space? We also do basement floor insulating. Our contractors use the appropriate methods for piping, sub-floors, and access hatches to deliver the greatest benefit. Wall insulation – Walls are often responsible for large amounts of heat transfer. Our non-settling spray-in wall insulation restricts airflow and keeps temperatures consistent. Our wall insulation is always mold and mildew resistant. Air sealing – If your home has a ducted air conditioning system, you may need air sealing. Poorly sealed ducts contaminate your home with dust, allergens, mold, and mildew. Gaps in the ducts also reduce energy efficiency. Keep your family healthy with our duct sealing services. Window installation – We install new windows that offer better insulation, noise control, and UV protection. Our technicians can match your home color, style, and even meet HOA requirements. Wall insulation can reduce heat loss by as much as two-thirds! We Are Your One-Stop Home Insulation Company. Contact us for a free home energy audit or no-obligation inspection.